user warning: Expression #6 of SELECT list is not in GROUP BY clause and contains nonaggregated column 'hotkilns_live.nodequeue_nodes_node.position' which is not functionally dependent on columns in GROUP BY clause; this is incompatible with sql_mode=only_full_group_by query: SELECT DISTINCT(node.nid) AS nid, node.title AS node_title, node_data_field_videos_category.field_videos_category_value AS node_data_field_videos_category_field_videos_category_value, node.type AS node_type, node.vid AS node_vid, nodequeue_nodes_node.position AS nodequeue_nodes_node_position, term_data.name AS term_data_name FROM node node LEFT JOIN nodequeue_nodes nodequeue_nodes_node ON node.nid = nodequeue_nodes_node.nid AND nodequeue_nodes_node.qid = 11 INNER JOIN search_node_links search_node_links_to ON node.nid = search_node_links_to.sid LEFT JOIN content_type_videos node_data_field_videos_category ON node.vid = node_data_field_videos_category.vid LEFT JOIN term_node term_node ON node.vid = term_node.vid LEFT JOIN term_data term_data ON term_node.tid = term_data.tid INNER JOIN node_access na ON na.nid = node.nid WHERE (na.grant_view >= 1 AND ((na.gid = 0 AND na.realm = 'all') OR (na.gid = 0 AND na.realm = 'content_access_author') OR (na.gid = 1 AND na.realm = 'content_access_rid'))) AND ( (node.status = 1) AND (node.type in ('videos')) AND (search_node_links_to.nid = 2129 ) )GROUP BY nid ORDER BY nodequeue_nodes_node_position ASC, term_data_name ASC in /home/hotkilns/public_html/sites/all/modules/views/includes/view.inc on line 814.
user warning: Expression #6 of SELECT list is not in GROUP BY clause and contains nonaggregated column 'hotkilns_live.nodequeue_nodes_node.position' which is not functionally dependent on columns in GROUP BY clause; this is incompatible with sql_mode=only_full_group_by query: SELECT DISTINCT(node.nid) AS nid, node.type AS node_type, node.vid AS node_vid, node.title AS node_title, node_data_field_pdfs_category.field_pdfs_category_value AS node_data_field_pdfs_category_field_pdfs_category_value, nodequeue_nodes_node.position AS nodequeue_nodes_node_position FROM node node LEFT JOIN nodequeue_nodes nodequeue_nodes_node ON node.nid = nodequeue_nodes_node.nid INNER JOIN content_type_pdfs node_data_field_pdfs_international ON node.vid = node_data_field_pdfs_international.vid INNER JOIN search_node_links search_node_links_to ON node.nid = search_node_links_to.sid LEFT JOIN content_type_pdfs node_data_field_pdfs_category ON node.vid = node_data_field_pdfs_category.vid INNER JOIN node_access na ON na.nid = node.nid WHERE (na.grant_view >= 1 AND ((na.gid = 0 AND na.realm = 'all') OR (na.gid = 0 AND na.realm = 'content_access_author') OR (na.gid = 1 AND na.realm = 'content_access_rid'))) AND ( (node.status = 1) AND (node.type in ('pdfs')) AND (node_data_field_pdfs_international.field_pdfs_international_value = 1) AND (search_node_links_to.nid = 2129 ) )GROUP BY nid ORDER BY node_data_field_pdfs_category_field_pdfs_category_value ASC, nodequeue_nodes_node_position ASC, node_title ASC in /home/hotkilns/public_html/sites/all/modules/views/includes/view.inc on line 814. School-Master kilns are warranted for FIVE YEARS!. 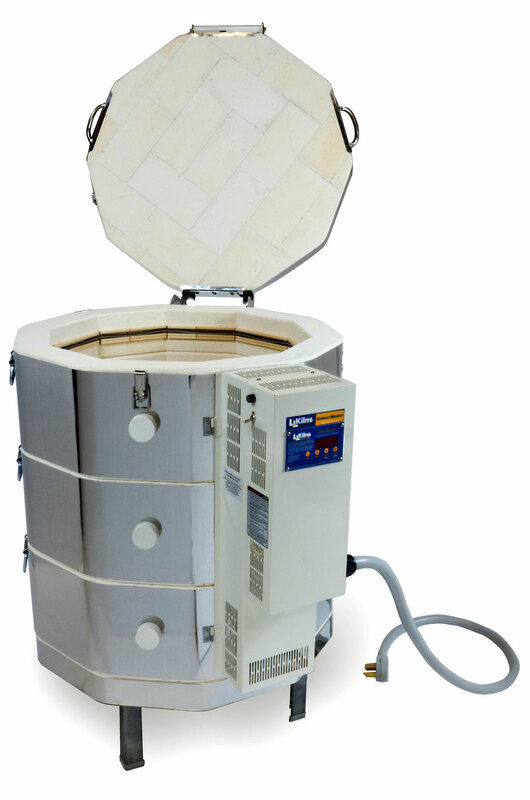 They are super-durable and include all of the easy-maintenance features of the Easy-Fire kilns. 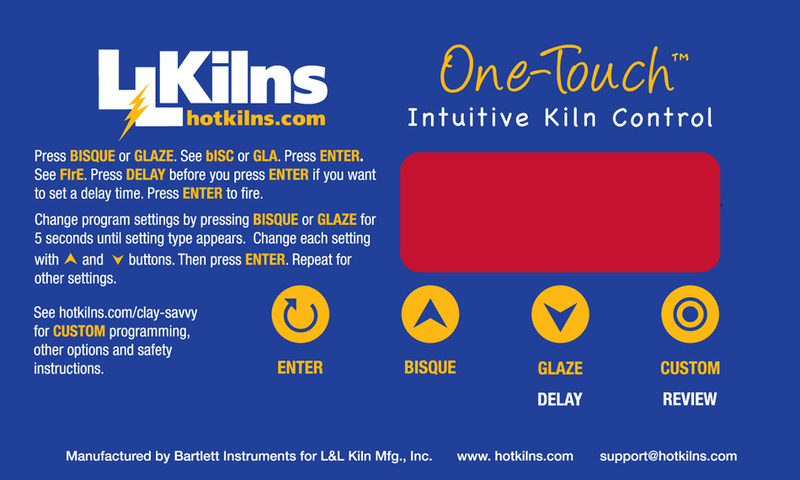 For simplicity, however, School-Master kilns feature the intuitive One-Touch™ kiln control that has a standard Bisque and Glaze program tuned to the needs of most K-12 programs. Temperature, heating and cooling rate, delay time and soak time can all be easily modified for the two main programs and remain set that way until deliberately changed. In addition, for more advanced users, there are four custom programs. 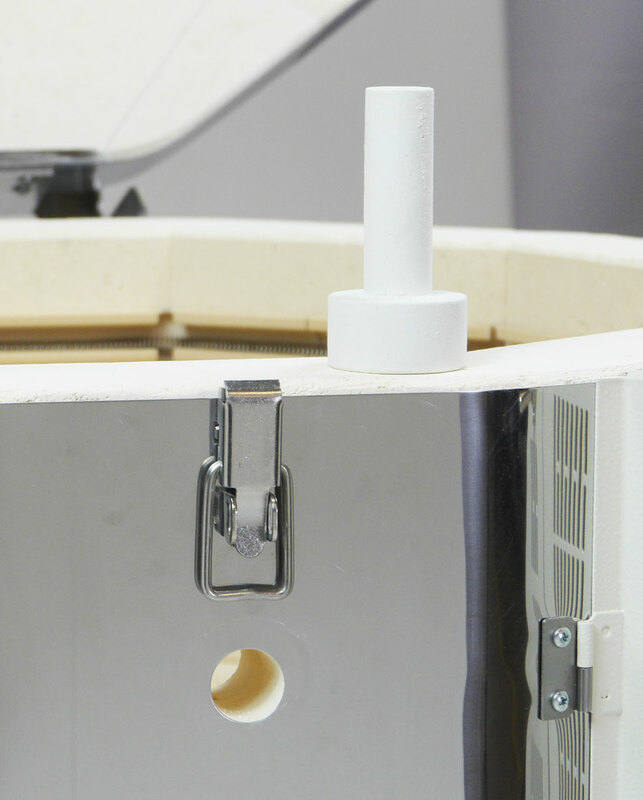 The control is single zone and the kilns have graded elements. Because we only have two sizes we have tuned the element resistance for good performance. 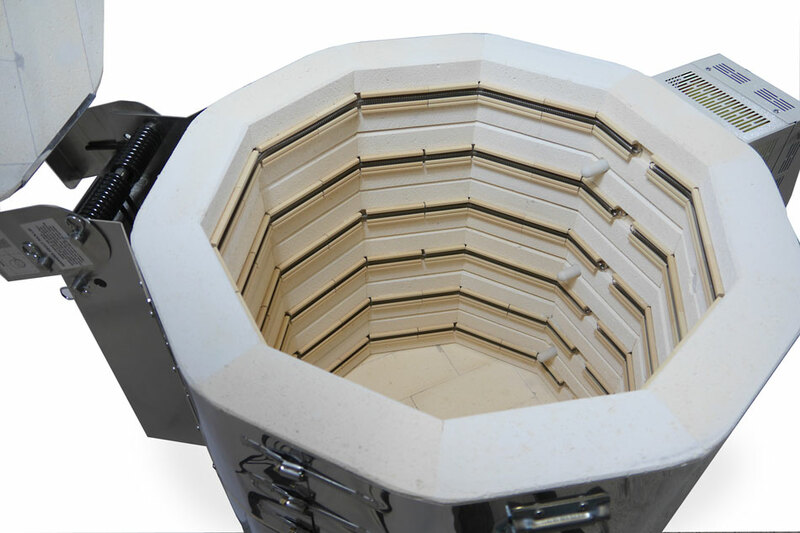 The School-Master kilns are limited to Cone 6 operation even though the construction of the kilns can handle higher temperatures. 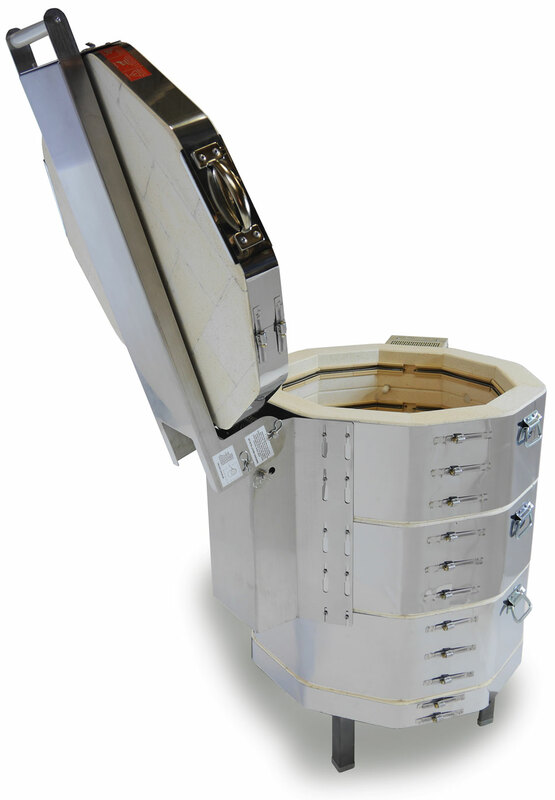 School-Master School kilns come with a special five-year limited warranty.